With the current state of the housing market, it is not exactly easy to sell your home. There are countless houses on the market, so how do you make yours standout amongst the crowd? How do you catch a potential homebuyer’s eye? Fences and Curb Appeal! Curb appeal and first impressions can make all the difference in Real Estate. And one of the best ways to improve the curb appeal of your home is with brand new fencing from Hercules Fence in Manassas, Virginia. 85% of homebuyers view a home online before ever visiting the home in person, making curb appeal extremely important. 10% of homebuyers lack the creativity to see the potential of a home, meaning your home needs to be in great shape or it risks sitting on the market for a long time. 30 seconds. That is the amount of time it takes a homebuyer to form a first impression and decide whether or not they will buy a home. As you can imagine, curb appeal is important. The resale value of your home can increase by 15-20% with a new fence and improved curb appeal. Pick up the phone and call Hercules Fence in Manassas, Virginia. 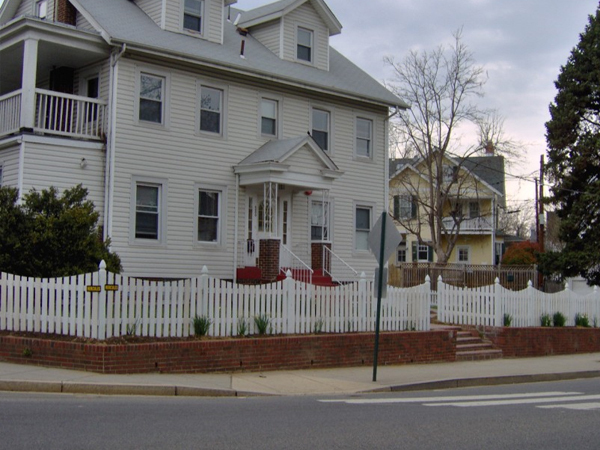 For more than 50 years, Hercules Fence has been providing the people of Northern Virginia with professional service and quality fence installation. So if you are in need of a new fence, give us a call. We can handle any of your fencing needs, including vinyl fencing, wood fencing, and so much more! If you have any questions about Real Estate, Fences, Curb Appeal, and First Impressions, please contact Hercules Fence of Manassas, Virginia today by calling (703)551-2609 or visiting our website. Also, check out Hercules Fence of Manassas on Facebook,Twitter, Google+ and YouTube! This entry was posted on Friday, May 17th, 2013 at 2:51 pm. Both comments and pings are currently closed.